Late last month, federal food safety regulators revealed they had linked a possible Salmonella Kiambu outbreak, including several illnesses and one death, to recalled papayas. Now a second recall has been initiated, as the Food and Drug Administration and Centers for Disease Control and Prevention continue investigating the outbreak, announcing that more than one hundred people have fallen ill.
Agroson’s announced Friday the recall of 2,483 boxes of Maradol Papaya Cavi brand papayas grown and packed by Carica de Campeche after other brands of papayas grown at the same farm tested positive for Salmonella. According to a notice posted with the FDA, the papayas were distributed to wholesalers in New York, Connecticut, and New Jersey from July 16 to July 19. The company notes that the fruit was available for sale to retail customers until July 31. No illnesses have been reported related to the Cavi brand papayas. 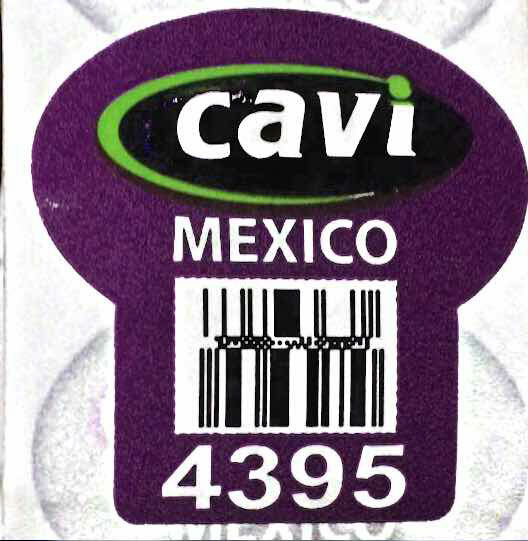 The affected fruit can be identified by the PLU sticker, cavi MEXICO 4395. Wholesale customers that received the papayas have been notified to remove the recalled product from inventory, store shelves, and other commercial venues. Agroson’s says it is performing “recall effectiveness” checks on those customers. Agroson’s notes that it has ceased importing papayas from Carica de Compeche. The company says it is taking precautionary measures to ensure the safety of its imported produce by taking samples of every load to a private lab, and testing for Salmonella. It is also cooperating with regulators’ investigation into the outbreak. In late July, Grande Produce informed the FDA that it initiated a limited recall of its Caribeña brand Maradol papayas distributed nationwide from July 7 – July 18, 2017. Those papayas, the FDA said, had been linked to a recent outbreak of salmonella: According to the Centers for Disease Control and Prevention, there have been 47 cases, 12 hospitalizations and one death from 12 states in the Salmonella Kiambu outbreak reported so far. The states involved are IA, KY, LA, MA, MD, MN, NJ, NY, PA, TX, UT and VA. In an update Friday, the CDC said that the outbreak investigation now included 109 ill people from 16 states. So far, 35 of those individuals have been hospitalized. Additionally, the outbreak investigation has been expanded to include Salmonella Thompson illness. According to the CDC, the expansion came after samples from papayas sold in Maryland returned outbreak strains of Salmonella Kiambu and Salmonella Thompson. As a result, the FDA is working to identify other brands of papayas that may have originated from Carica de Campeche and facilitate recalls.